How long have you been with SCHEELS? How did you get started and do you have a favorite memory to share? I started with SCHEELS in 1999, fresh out of high school and needing a part-time job. I started in the service shop in Cedar Falls, IA. I moved into sporting goods sales shortly after that and started to get interested in a possible full-time position as a shop manager. I have had the privilege to run different shops in the company but it was running the bike shop that hooked me. I accepted the position as the bike, bike accessories and bike clothing manager in 2000 and my passion for cycling came shortly after. In 2004, I transferred to Iowa City and ran the bike department for that store. 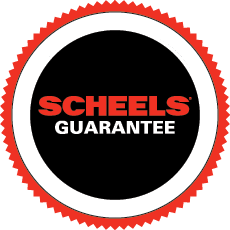 In 2019, I will have 20 years in the cycling industry and with SCHEELS. How did you become passionate about cycling? With the new position of bike manager, I knew I had to buy a bike. I purchased a Trek Fuel Mountain Bike and my passion took off. I enjoyed being the bike manager and being able to buy bikes corporately on the buying team. The best part was being able to ride my bike when I wasn’t working. Shortly after that I sold my mountain bike to change categories and become a road rider. I enjoyed that riding more than mountain biking. Still being the bike manager, I knew I had to own a sweet bike. I purchased a Trek Project One Madone in 2004 completely built to my specifications and a custom airbrushed paint job. It was really too much bike for me, but it was so sweet. Now, I just love going out and ridin, both by myself and in groups. With biking, you don’t need to buy extra things like a boat to pull you, you can go on your own time. You are a big influencer of the Ragbrai Bike tour. What makes it so unique? I have rode my bike across the state of Iowa a lot of times for RAGBRAI. My first RAGBRAI was in 1994 as a freshman in highschool. Every year after that, I had to ride at least one day of RAGBRAI. I believe everyone in Iowa should experience at least one day of RAGBRAI. It is such an awesome experience to ride bike with thousands of other cyclists. Being the Bike Manager at Scheels, it was hard to do the entire ride every year because it was our busy season. As my position changed, and I was no longer the bike manager, this freed up time for me to complete the entire ride. Five years ago, I was asked to be on the RAGBRAI pre-ride committee and ride the entire route a month before the actual ride in July. This committee works with each community to make sure they are successful during the actual day in July. We ride the entire route on the same day it will take place in July and help find possible issues that will prevent a rider or community from having a poor experience. We are treated like kings and queens that week. We eat the same food they will be serving the day of the actual ride and answer any questions they may have based on our experiences. RAGBRAI is known for good pie, and you get to experience any flavor you want during pre-ride. You get to sample a lot of “World Famous” pies, and I always gain a little extra weight on pre-ride because of all the delicious food.